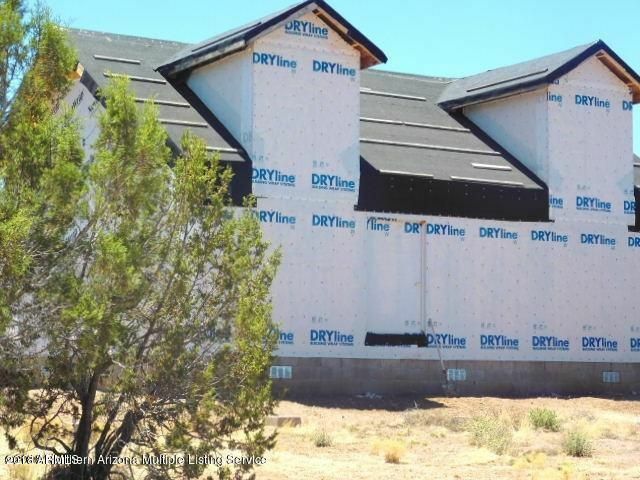 All Seligman homes currently listed for sale in Seligman as of 04/25/2019 are shown below. You can change the search criteria at any time by pressing the 'Change Search' button below. 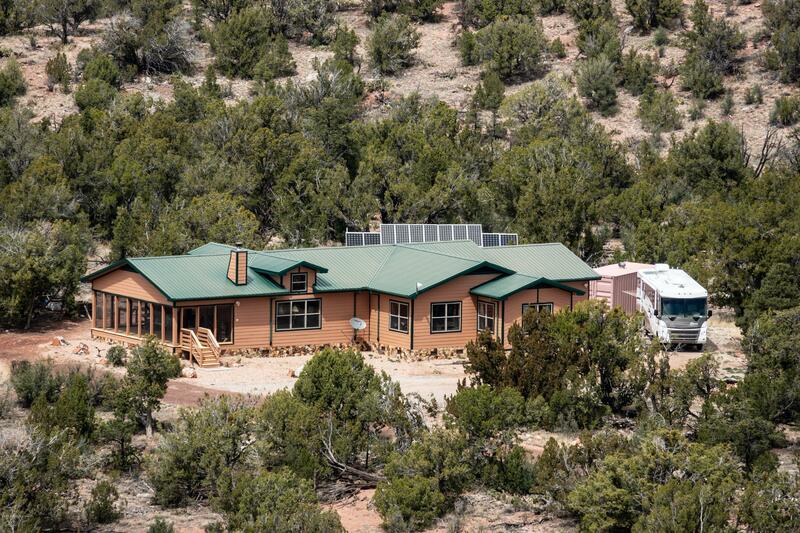 "Near Perfect Retreat just a couple miles from asphalt, high on a hill with breathtaking views. 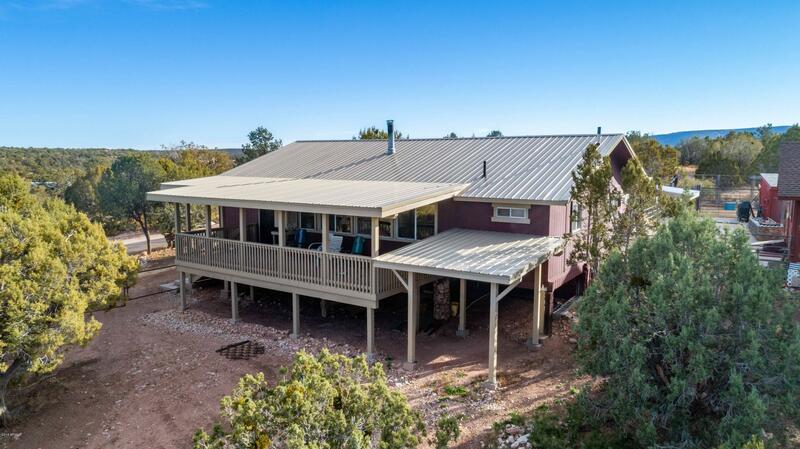 Situated on 48 plus acres, this custom home is set up for 100% roof water catchment, is powered by Solar and has its own septic system. The home has a very oversized one car garage set up for workshop space on both sides. The environment is extremely moderate -- excellent for an almost year round growing season. The general area is extremely quiet, adjacent to State Trust Land, and private, yet the dis"
"Magnificently GRAND Custom built home with 2 huge master suites, a gigantic great room with a formal dining area; this off-grid property is built for a forever home, designed for entertaining or escaping from the hustle and bustle. The house wraps around a very inviting fully fenced outdoor patio. The Living areas have walk out decks on the East and South sides of the home. A small area between house & shop is fenced for pets. The oversized 4-6 car garage has the beginnings of a bunk or guest ho"
"Spectacular Cabin in the tall trees at a near perfect elevation not too far from town. The loft could be converted to a large master suite with another bathroom, septic is big enough to support it. This property is meticulously tended to, move in ready to enjoy. Bring your toys to store in the little garage and get ready to really enjoy the great outdoors!" 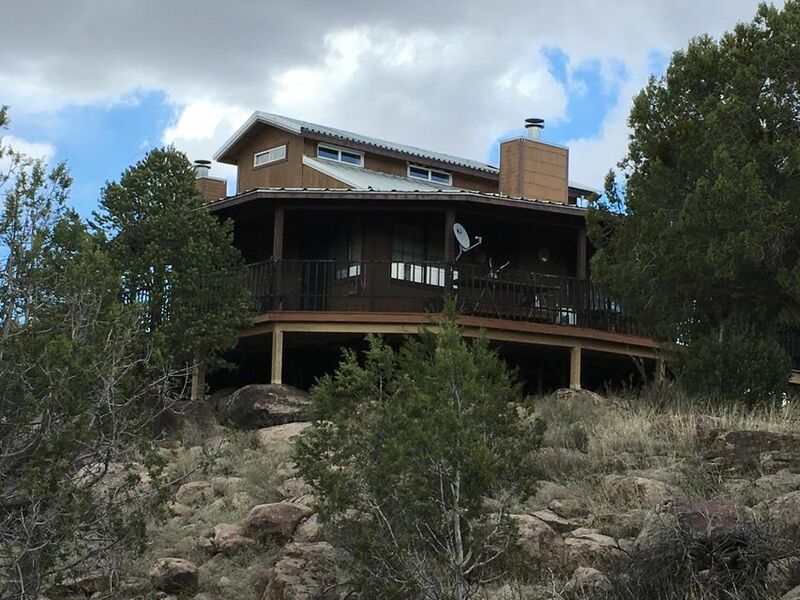 "40+ Acres, WELL!, APS Power (one of the few properties in the ranch with APS! WOW! 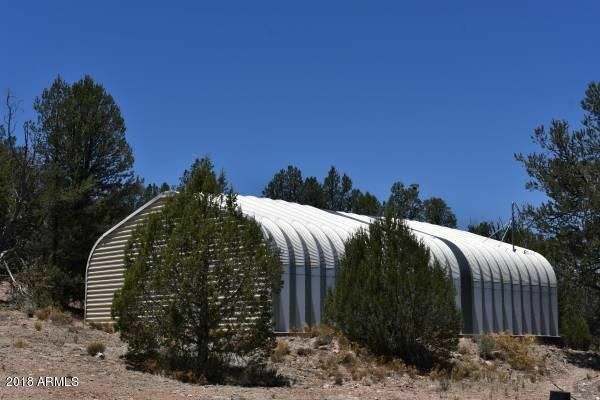 )2 SEPTIC TANKS!2600 GALLON WATER STORAGE TANKWITH PUMPHOUSE2000 SQ/FT GREENHOUSE WITH DEDICATED WATER TANK & POWERRV CARPORTApprox 1500 sq/ft quonset hut w/plumbing, electric and mini split air conditioner3 framed roomsApprox 145 sq/ft cabin with loft, shower, sink, porchApprox 1897 sq/ft manufactured building (blank slate) - could be turned into a nice cabinManufactured building has two 5 ton heat pump/air condit"
"MOTIVATED OWNERS REDUCED PRICE 9 K TO $210,900 IF HOME CLOSES BEFORE 9/30/18. 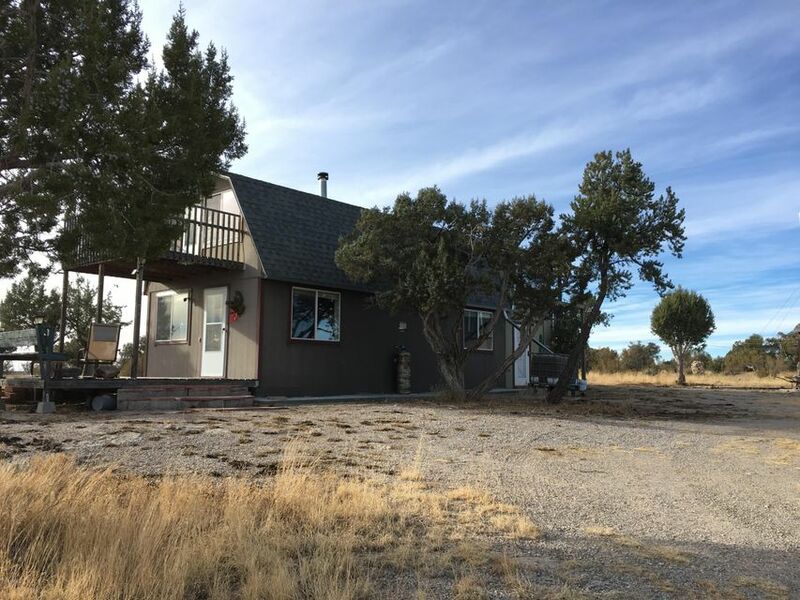 Hunters Cabin on 40.5 acres in 18A. This is off the grid, (Solar, wind, generator power), a 2500 gal water tank provides gravity flow water to the cabin. Community Water. 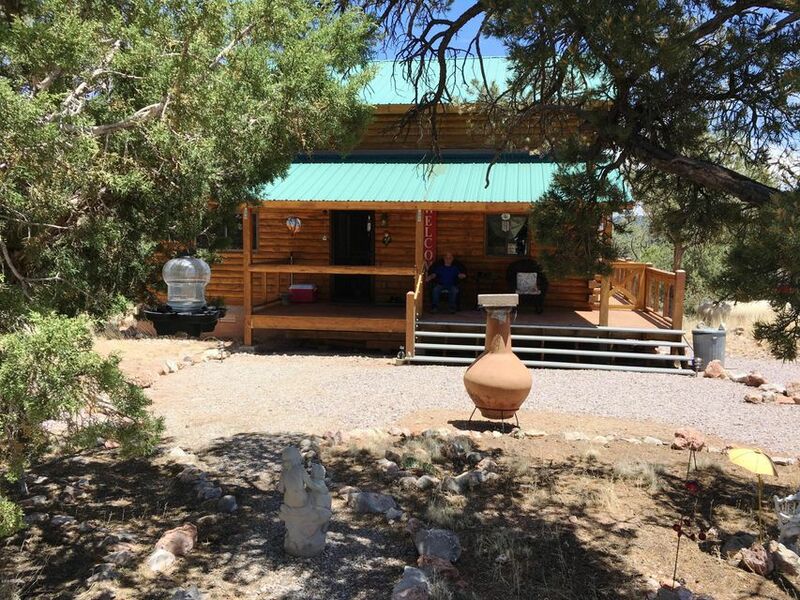 1000 sq ft cabin has a palatial Master suite on the main level + very large bedroom in the loft. Living, dining & kitchen area is located in very open plan overlooking heavily treed sidehill & open very private meadow below. 2 wood burning fireplaces"
"MOTIVATED OWNERS JUST REDUCED PRICE BY $10,000! Rustic two story two bedroom one bath home on 40 acres. This little get-a-way is only a few miles of gravel off of Historic RT 66, situated on a high vista overlooking thousands of acres of undisturbed trees, valleys and grasslands. The kitchen is very large with two stoves with both a casual Dining table and a little coffee nook this room has all kinds of possibilities. 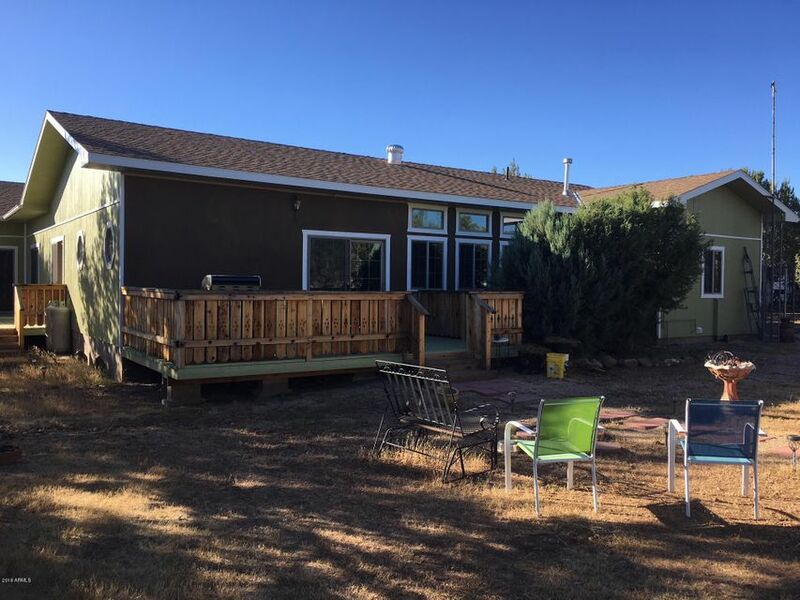 The living room is large with a bay window, a large wood fireplace and the hug"
"Very nice 2006 manufactured home on a very private feeling parcel less than 3m from town. 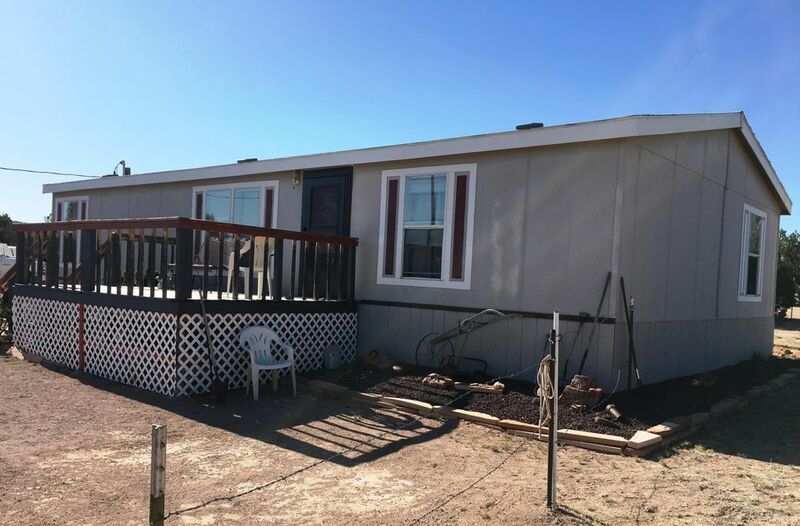 Real Power, very inexpensive water haul, animal facilities and lots of room for anything else you may need on the adjacent 1.94ac which is owned by a relative and available with this purchase. 3.66acres total! The home has been meticulously tended to, the wire fenced animal facilities is perfect for goats and would be perfect for polite horses or mini horses or large dogs. There are a couple of nicely built"